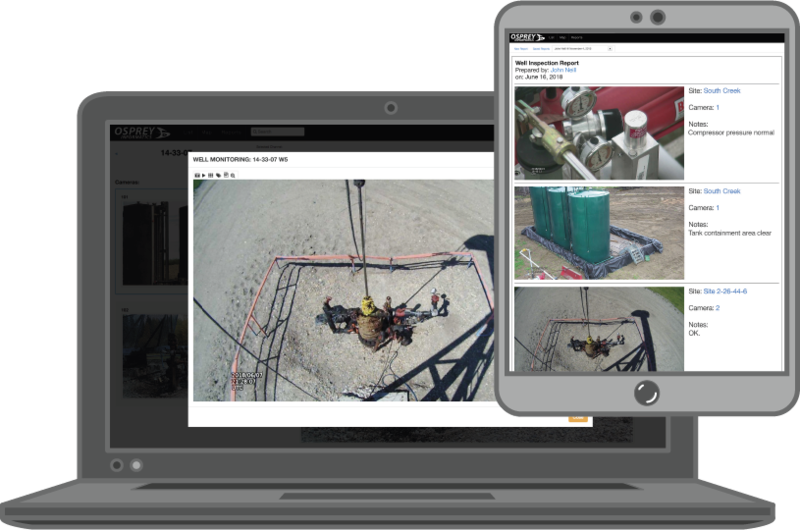 Osprey Reach is the most advanced online visual monitoring system for remote assets and sites. Proven in the field to enable a 50% reduction in routine site visits. Manage your sites cost-effectively, prioritize work, and increase productivity. Maximize productivity and reduce your operating costs when you monitor your remote assets with Osprey Reach. Choose the solution that’s proven in the field to drive the ROI that you need. Save on windshield time and labor costs with online inspections and alerts. Get automated notifications when your pumpjack stops. Inspect your sites more frequently and respond quickly to problems. Change Increase Profitability to Monitor Activity - Get automated alerts for potential security events. Monitor workers for safety and compliance. Set personalized, proactive alerts for site activity. Customize by activity type, time, sites and more. Log in to your Osprey Reach site online. View current photos of your assets. Play a live video clip to confirm equipment movement. Share important images and comments with inspection reports. Get proactive email or text message alerts for equipment run status events. Check temperature, pressure, H2S levels and more with optional sensor and software integrations. 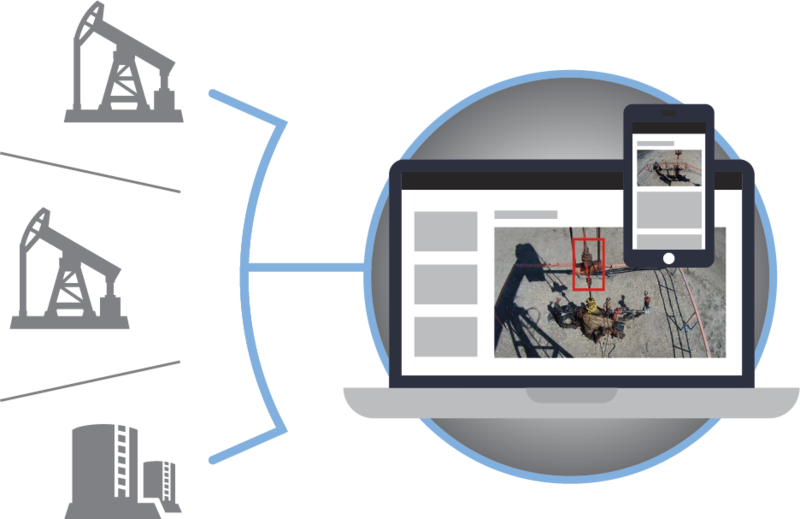 View live or historical imagery correlated with non-visual sensor events. Delivered as a managed service, with nothing to install or support. Deployed outside of corporate IT infrastructure. Works with virtually any IP or analog camera. Extremely data-efficient architecture. Suitable for low-bandwidth networks, including cellular. Accessible online over any computer or mobile device. Efficient user interface and customizable alerts and reports for maximum worker productivity. Integrates with sensors, pumpjack drives, asset management systems and more for alarm validation and improved situational awareness. Get the Osprey Reach advantage.